This barbecue dessert is sweet, easy, colourful and quick. What better way than taking the fragrant flavours of watermelon, pineapple and peach, drizzling them with maple syrup or honey and grilling for a couple of minutes each side, then sprinkling them with some fresh herbs. 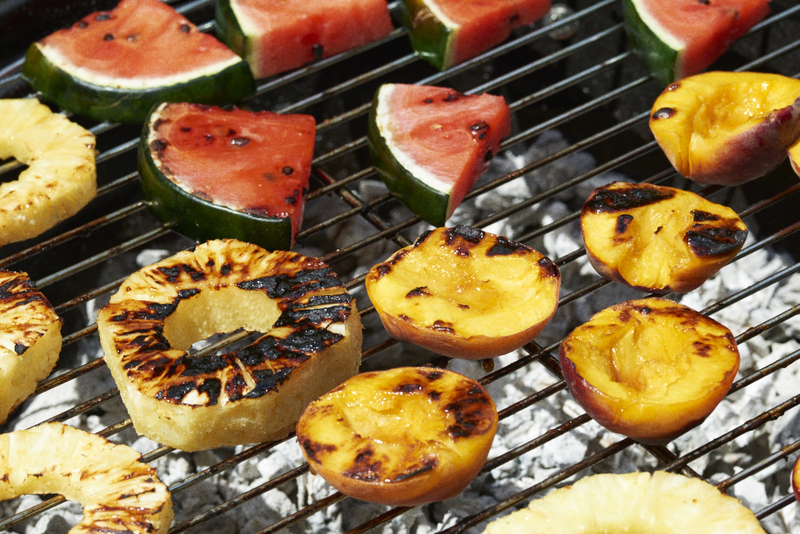 Place all the fruits on the barbecue or under the grill, flesh side down for the peaches. Cook for 5-10 minutes until they begin to colour and soften. Turn the fruit over and cook for a further 5-10 minutes so that they are cooked on both sides. To serve scatter the thyme leaves over the peaches, scatter the chopped mint leaves over the pineapple and squeeze the lemon juice over the watermelon. Delicious as is, or with a dollop of yoghurt, crème fraiche or a scoop of vanilla ice cream.